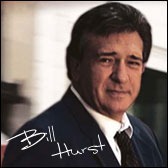 Bill Hurst is recognized as being one of the best Indianapolis Personal Injury Lawyers in the State of Indiana. He has been recognized by Best Lawyers in America for 25+ years and Super Lawyers for 10+ years. Bill has the experience and the know how to handle any personal injury case, from a simple car accident to a large class action suit. If you or a loved no were harmed due to the negligence of another call Bill Hurst at (317) 636-0808. We Work On A contingency Fee Basis. You Don't Pay Us Unless We Recover For YOU!